To arrange your visit, contact info@ishausa.org or call 931-668-1900. When booking with Kwik Cab, mention “Isha” to get the $180 flat rate from Nashville Airport. No additional fee for extra passengers (up to 5-6 passengers, as they have minivans). Call (615) 934-0777. UCHRA is a state-funded resource which charges $11 per person each way between Nashville Airport and iii. The service is available only on weekdays and you must book your shuttle at least 48 hours in advance (excluding weekends). Note: Shuttle makes multiple stops along the route to pick up/drop off passengers, so travel time is longer. Register by calling 931-473-6652 and asking for the Transportation Department. Please properly cancel your UCHRA shuttle if you decide not to use this tax-funded resource. Groome Transportation offers regular daily shuttles from Atlanta Airport to the Groome office in Chattanooga. Book by calling (800) 896-9928 , then see above for ways to get from Chattanooga to iii. Booking through Kayak.com tends to have low daily rates. 855-529-2501 to book. Check-in for accommodation between 3 PM - 9 PM. Check out no later than 12 PM. 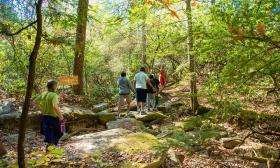 Saturdays and Sundays: 2:45 PM – 3:45 PM — Guided hike on Nature Trails. Do I need to make a reservation before I visit? Yes. It helps us to plan, and helps make your check-in process faster! For day visits, please call ahead 24 hours in advance so we can inform you of any changes in the daily schedule. For overnight stays, please call ahead to check availability of accommodations. Drop-ins are also welcome to visit, but accommodations will be subject to availability. What is the cost to stay overnight? Isha Institute offers three types of accommodation: semi-private lodges, private studios, and Deluxe Suites. Accommodations include two vegetarian meals and a snack per day. Semi-Private Lodges have eight beds in a room, each one with a cubicle around it, and shared bathroom facilities. There are separate lodge buildings for men and women. Private Studios are each like a one-room apartment with its own bathroom; a couple or a family can stay together. Studios tend to book up on weekends so advance notice is needed from visitors planning to rent a studio. 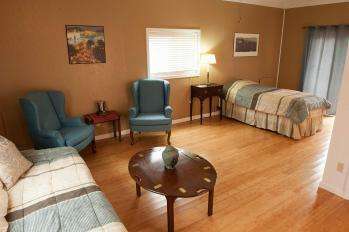 Deluxe Rooms & Suites are larger private bedroom or suites perched on a forested bluff overlooking the picturesque mountain valley below. 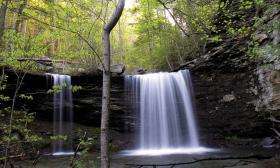 Retreat in the quiet of the surrounding forest; relax on the back terrace and take-in a breathtaking sunset, or close your eyes and enjoy the cool rush of the nearby waterfall. 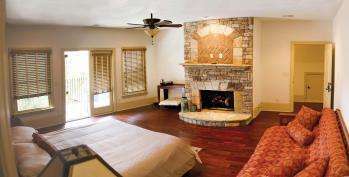 With more amenities, for individuals, couples, or families with children 14 yrs or older, some Deluxe Rooms & Suites feature a fireplace and/or a balcony, and each has a private bath. Please call Isha Institute to check on availability and the specific amenities in each Suite. What is the maximum number of days I can stay? Any number of days, as a guest, with accommodation charges. If you wish to stay for more than 7 days, please contact Isha Institute for an application form. Check in time is 3pm. If you arrive earlier than scheduled, we cannot guarantee that your room will be available until 3pm. Check out time is 12pm. What is the timing for meals? 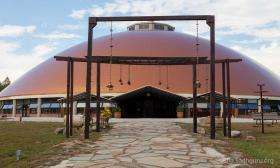 Support the spiritual focus of the ashram by not wearing tight-fitting or revealing clothing, including short-shorts, tank tops, etc. Simple, loose-fitting clothes, in good condition, are appropriate. Women: Full-length pants or capris are appropriate. Men: Pants or long shorts (knee-length) are appropriate. Shoes are removed when entering all buildings and rooms including sleeping areas. 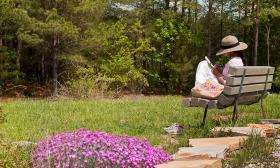 Many paths are gravel or earth – comfortable shoes with a rugged sole are recommended. What should I bring with me to the center? Warm jacket or coat (even through the summer months, evenings may be quite cool). Cash, checks and credit cards (Visa, MasterCard, Discover, American Express) are all accepted at the Isha Institute. There is a 10% cancellation fee for stays, and no fee for transferring. The cancellation policy for a program fee will vary depending on the program. Do you have internet access? Can I check my e-mail? Due to limited bandwidth at the Isha Institute, Wi-Fi is only available to guests who absolutely require it for work purposes. In such situations, the Wi-Fi fee is $5/day. For those who simply wish to check email or stay in touch with family, there are 3 public computers available on the campus. Will my cell phone work at the center? Cellular service is often inconsistent on the campus, except for those with Verizon as their provider. Isha’s landline phone is available to update your family about arrival and travel, but long conversations may not be possible. Do you provide transportation to and from nearby airports? Isha shuttles are available directly to and from Nashville (and sometimes Chattanooga) airport on program weekends. If your timings don’t match up with our shuttles, there are several other options. 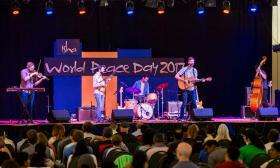 The Isha Institute offers a variety of programs, activities and energized spaces that provide opportunities and methods to increase and attain physical, mental and spiritual wellbeing. 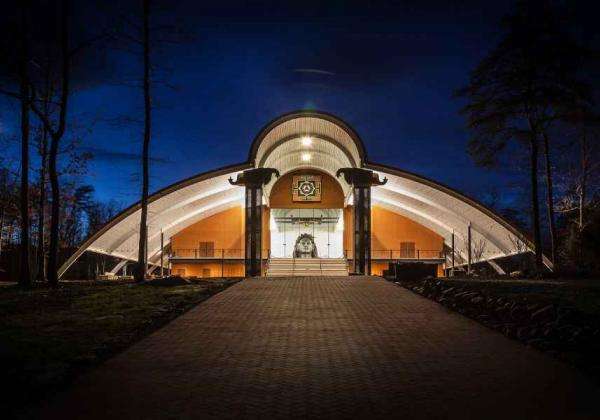 It is a unique space created for the purpose of allowing human beings to deepen their life experience and to reach their ultimate potential. 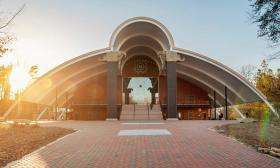 Two powerful meditation spaces are the main features for most visitors to the Isha Institute. 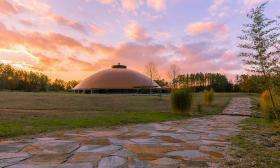 Mahima, which means grace, is an awe-inspiring 39,000 sq ft domed meditation hall and home to many of the programs offered at the Institute. The Adi Yogi: Abode of Yoga, is a powerfully energized space that anyone can make use of towards his or her wellbeing. Is there a charge to visit for the day? There is no fee for a day visit. Day visitors are asked to pay for meals, $10 per adult and $5 per child (age 7-13), payable at the Welcome Center desk when you check in. Learn more about day visits here. Do you offer activities for children? Each year Isha Institute offers the Isha Summer Program for Children which offers a unique possibility for every child to experience a joyful blossoming of his or her natural potential. Children are always welcome to sit quietly in meditation spaces like Adiyogi: The Abode of Yoga. 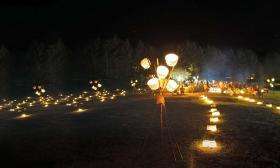 Children may also explore the gardens and hiking trails when accompanied by an adult. 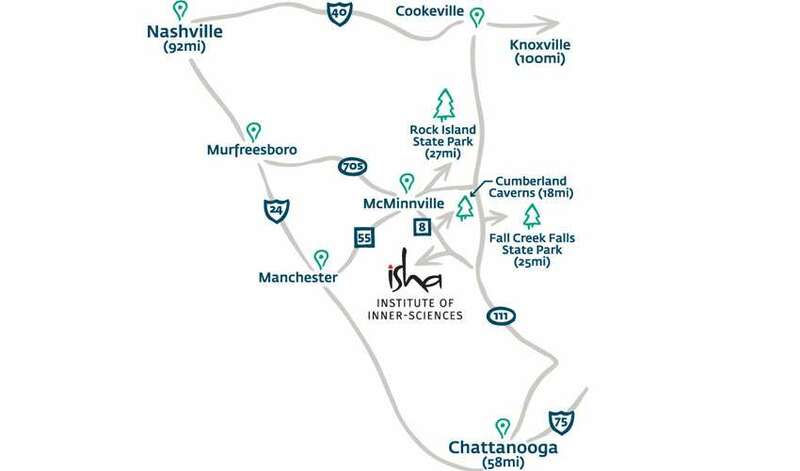 Isha Institute is located on Isha Lane, which intersects with Tennessee Highway 8. 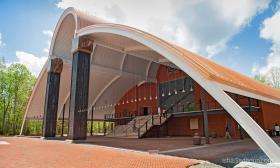 The Institute is approximately 16 miles from the center of the town of McMinnville, Tennessee. There is a large “Isha Institute of Inner Sciences” sign at the front of the entrance to the property on route 8. Here is a map with directions from major cities to Isha Institute. 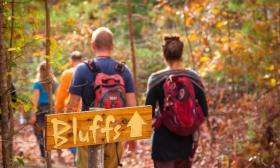 Please look up your directions online and bring them with you, as many GPS systems give incorrect or outdated directions to our location. I want to take a program at Isha Institute. How do I do that? 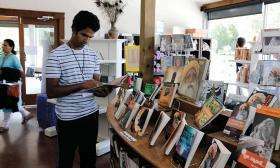 Programs at Isha Institute are categorized by beginner and advanced. Advanced Programs Please note that advanced programs require certain prerequisites. 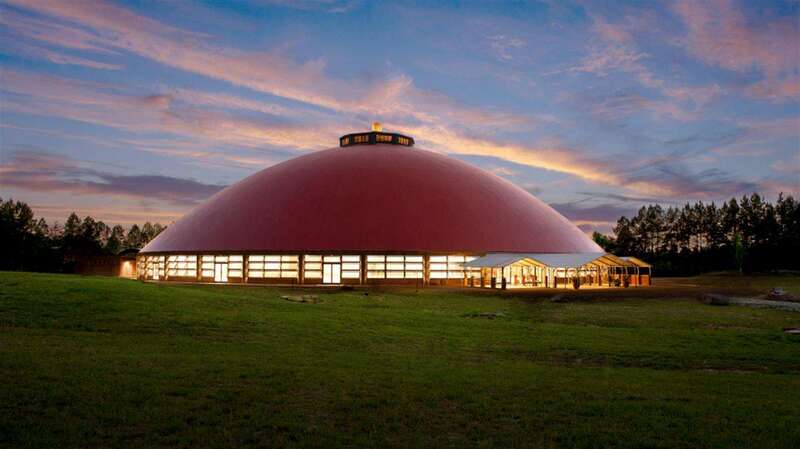 Visitors can participate in offerings and special processes at the Adi Yogi, Abode of Yoga. Isha’s flagship program Inner Engineering is offered online and qualifies you to take advanced programs at Isha Institute. You can also look specifically for a program with no prerequisites or start meditating today with Isha Kriya. I want to take an Isha program near me. How do I do that? 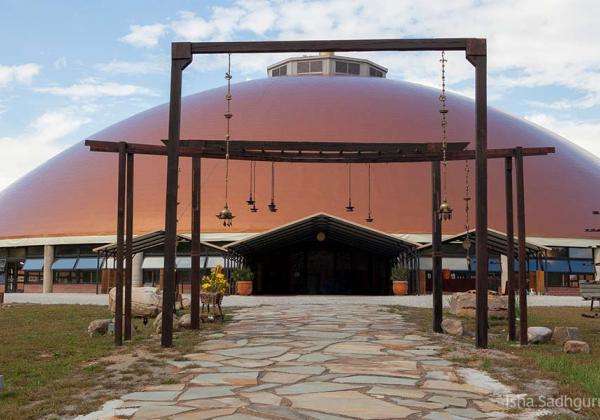 Isha Foundation USA offers yoga and meditation programs in many major cities throughout the US and Canada. A list of scheduled programs is here, and a list of city centers where programs are offered is here. 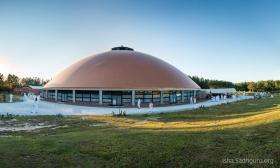 For those who wish to take a program in any of Isha’s other city centers around the globe, please visit our global website, www.IshaYoga.org. Is Isha Institute a non-smoking environment? Smoking or oral tobacco products, electronic cigarettes and other similar devices of any kind are not allowed on the campus.